I need this Canon EF 14mm f/2.8L II USM lens for two situations: inside the vaulted room of a Maya temple or palace. Most other lenses simply can’t capture from the floor to the capstone in a single click. And for when I am deep in the rain forest and can’t get much distance away from a tree because the jungle is too thick behind me. List price for this lens is a whopping $2359. Street price is $1,980. But when you need 115 degrees of coverage left to right (or up and down) then you need this. If you want sharpness, a prime lens helps: this is not where you want to waste time with a zoom lens. 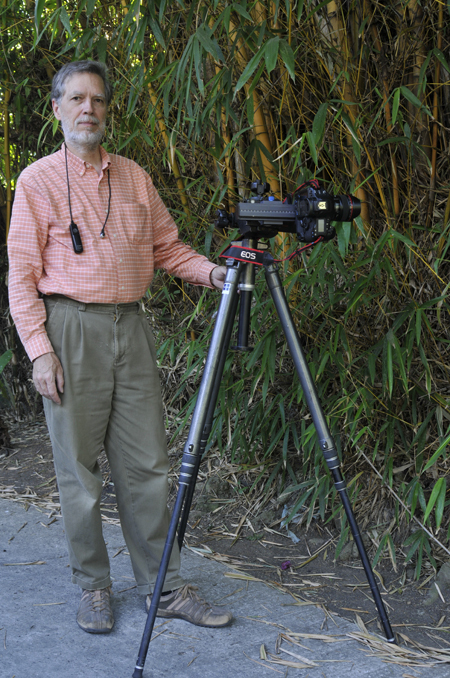 I took this camera to remote areas of El Peten, the northern jungles of Guatemala. Most of what we needed to photograph were venomous toads (needed 100mm macro) or leaf-cutting ants that were carrying flowers instead of leaves (65mm MP-E extreme 5x macro), or birds along the shores of the jungle rivers (100-400mm zoom telephoto). So I rarely used the 14mm lens. But when you need it, you need it. Previously I had a 15mm wide angle Nikon lens. I used this for several decades. But my Nikon cameras are only 12 megapixels: so not much to enlarge for a photo exhibit. Since I now have a 21 megapixel Canon EOS-1Ds Mark III, it makes more sense to have a dedicated prime lens for the Canon. Auto-focus is nice at my age (66 years old) but you don’t really need auto-focus (or much of any focus) with an extreme wide-angle lens. 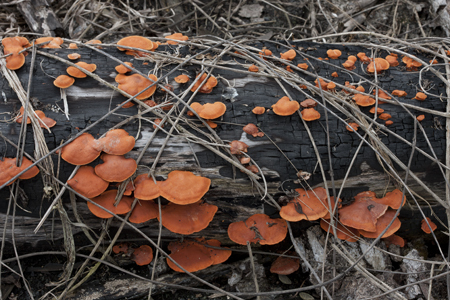 FLAAR does photography in the Mayan archaeological sites, and we do photography of eco-systems. If there is enough time and space I prefer to do a pano with a Novoflex pano head and a Hasselblad camera with 50mm (which is wide-angle for medium format camera size). But often there is not time to set this up (though it takes less than 5 minutes). But it is usually easier to just put the 14mm lens on the Canon and capture a single wide view in a single shot. 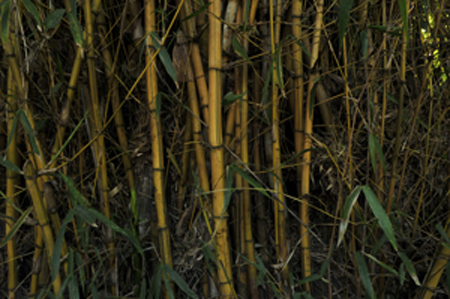 Here are some photographs of the bamboo thicket in the garden of the FLAAR offices in Guatemala. I am about 40 cm from the first layer of bamboo; the camera is set on auto-focus and is probably focusing at 80 cm or 1 meter (further into the bamboo). The reason I want this lens is the considerable depth of field. 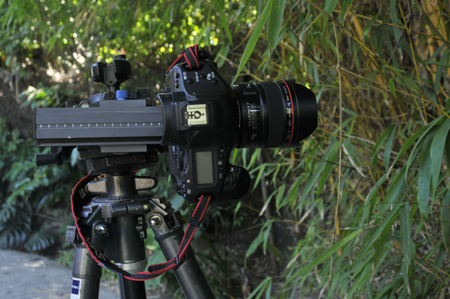 Nicholas Hellmuth shooting at the bamboo thicket in the garden of FLAAR office with a Mark III and a Canon EF 14 mm Lens. I only just acquired this lens, so I have a lot to learn about it. Previously I used a 15mm ultra-wide angle lens on my Nikon: NIKKOR 15mm f/3.5. This Nikon lens is over 23 years old. Still works just fine. But the Canon camera I have is 21 megapixels, so I would rather have Canon lenses, since my Nikon D300 is several years old and not a very fancy camera body. As with many ultra-wide angle lenses, it is difficult to impossible to use a polarizing filter. Gel filters are a pain to handle and insert (and even more of a pain to keep clean). You can’t point the lens at the sun or even near the sun (with the sun in front or at a near angle to the large expanse of glass on the front of the lens). Many photographers enjoy experimenting with fisheye lenses. But in scientific photography, archaeological photographer, and recording flora, fauna, and eco-systems, there is no place for a fisheye lens fantasy shot. I bet many people who buy a fisheye lens use it a few times and then don’t often use it again. So once the thrill wears off, a fisheye lens will not always be the lens of choice. But I have been using my Nikon 15mm lens for many decades. It takes 110 degrees of view. The Canon 14mm lens takes 115 degrees of view (if I remember correctly). Great for architectural photography; great for landscape photography; useful for botanical photography also. And ideal for fine art photography. What other wide-angle Canon lenses would tempt me? The 14mm lens is great when you need a 14mm lens, but it is inappropriate for most wide-angle needs. You don’t need 115 degrees of coverage with most wide-angle situations. Besides, you can take any wide-angle lens, put it on a Novoflex pano head, and take three (overlapping) shots to equal the 115 degrees of coverage plus have almost no distortion. The 14mm lens obviously has a tad of distortion. You use this lens when you have no way to back up (away from your subject). You use the 14mm lens when it can do something no other lens can handle. But it is not an all-purpose lens for everything. The 14mm lens, by the laws of physics, has to distort to capture what you are asking it to do. 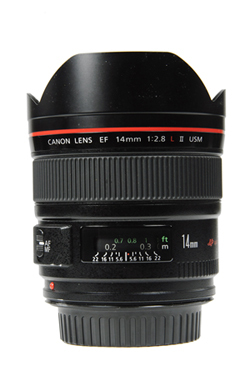 The Canon EF 17-40mm f/4L USM lens would give you 19mm, 21mm, 28mm, and 35mm, plus effectively an almost “standard lens” configuration (a standard lens is considered 50mm). List price is $839; street price is $750. Focuses as close as 11 inches which is a plus. Does take screw-in filters (77mm) as well as drop down gel filters “in the rear of the lens.” However got a major bad review for iffy sharpness. Not a good review to take the risk. Other reviews do not find fault with sharpness: but these reviews have links to camera stores everywhere! 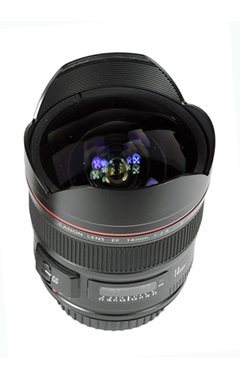 The Canon EF 20-35mm f/3.5-4.5 USM is not an “L” lens. This is no longer listed on the Canon web site, at least not in the wide-angle zoom lens section (early January 2011). You can find it only by doing a search. No price is given on the page you are sent to. Street price is $399. The Canon EF 16-35mm f/2.8L USM is an L lens, but since we already have a 14mm dedicated lens, we don’t need 16mm on a zoom. 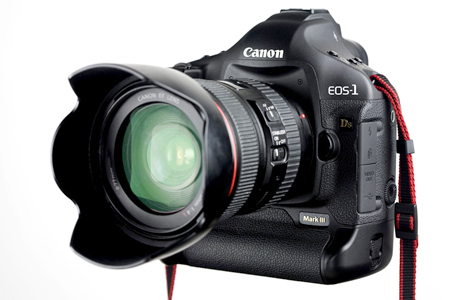 List price is $1699; another reason to think twice (since it is twice the cost of the 17-40mm lens). Since we have a full-frame Canon camera, we do not get excited over “S” lenses such as EF-S, since this is for small-sensor cameras. We thank Parrot Digigraphic for providing the Canon EOS-1Ds Mark III and the ultra-wide angle lens. As soon as we get some fine art images with this lens, we will show those results printed on a Canon, Epson, or HP printer at Parrot.